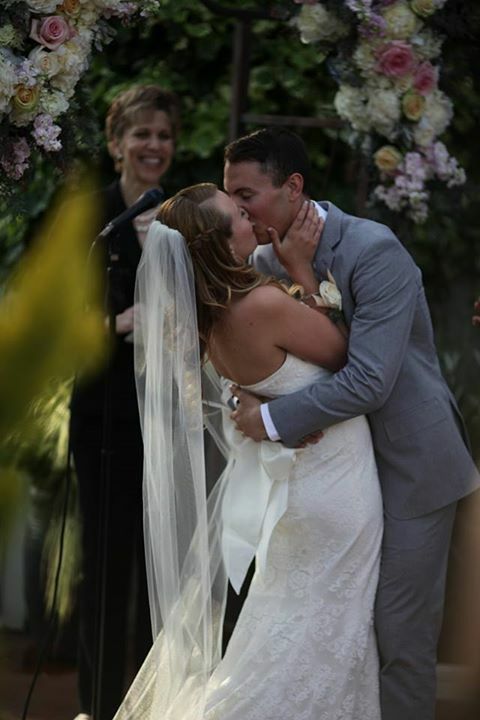 This wonderful duo exchanged vows at The Canal in Seattle and as an “end of ceremony flourish,” shared the sweetest of kisses. – Get Your Officiant Out of the Way! Really, why does any Officiant just stand there as a couple shares a lifetime moment? Simply put, have your Officiant move out of the way and to the side of his/her space. This moment is truly about the two of you and offers your photographer a clean shot. Simple and easy. A little planning does wonders for capturing such a timeless photo!